Tata Sky India’s one of the largest DTH Service providers with 13 million subscribers has come with amazing offer “Jingalala Saturday offer” for those who don’t have used Tata Sky HD pack. 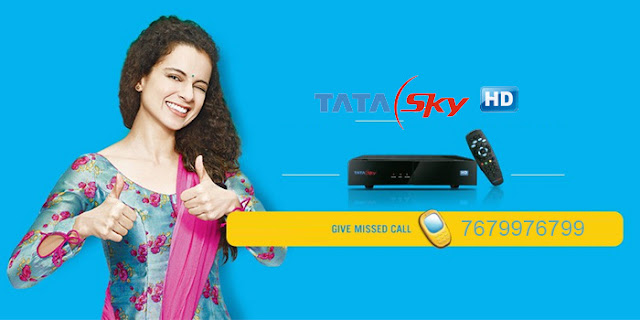 Get Tatasky 1 month HD access for Rs. 1only, offer valid from 18th June 2016 to 24th June 2016. Note: Second month onwards a regular price of Rs. 95 per month will be applicable. From 18th June 2016 to 24th June 2016, Tata Sky will offer a discount on the HD Add on DMP Pack. Under this Offer the HD Add on DMP Pack shall be offered at the rate of Re. 1 for the initial period of thirty (30) days instead of the regular price of Rs.95 per month. How to get HD Access at Rs. 1 for 1 month?